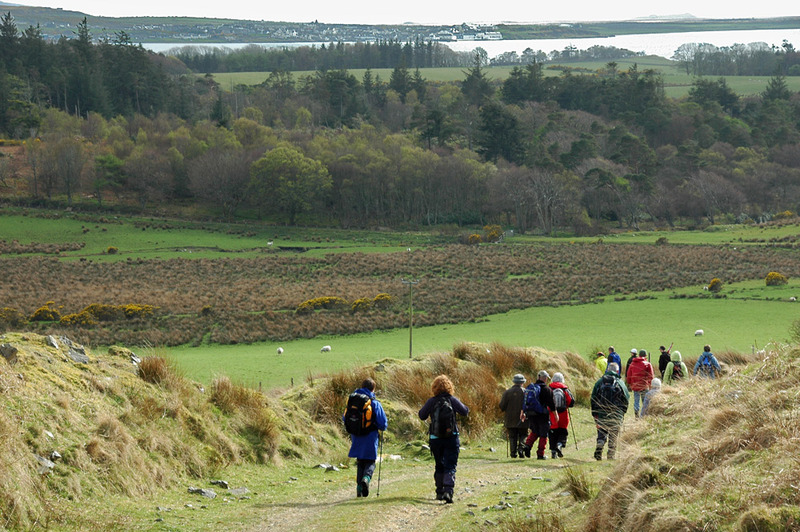 A view from an Islay walking week in 2007, the walkers are returning to Bridgend via Knockdon. This entry was posted in Distilleries, Landscape, Repost, Sea Loch, Sunny Weather, Village and tagged Bowmore, Bridgend, Islay, Knockdon, Loch Indaal by Armin Grewe. Bookmark the permalink.